Who doesn’t love Starbucks coffee syrup? I always ask for a shot of sugar free vanilla coffee syrup in my my morning blonde roast, and because I know it’s sugar free I don’t worry about adding a ton of fat or calories to my coffee. When I got my Keurig coffee machine, I started buying Starbucks coffee syrup to take home, and before I knew it I had a full ‘bar’ of coffee syrups including Pumpkin Spice, Caramel, and of course, sugar free Vanilla. K cups are an expensive habit to pick up on their own, and when you add coffee syrup to the mix? That’s a lot of money flying out the door every month. So after doing a bit of research, I realized I could make these yummy simple syrups at home, and it’s so easy you may never head out and buy another bottle. 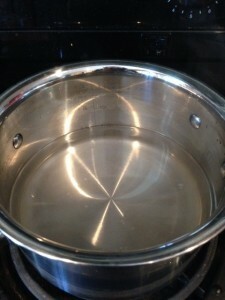 Combine the water and Truvia in a saucepan. Bring the mixture to a boil then reduce heat. Stirring occasionally, simmer for 3 minutes and remove from heat. Stir in Vanilla. Pour into glass bottle or container and allow to cool. Once cool, refrigerate. The syrup will keep for up to a month in the fridge. Now I can enjoy my morning coffee and the K cups are the only big expense I have. 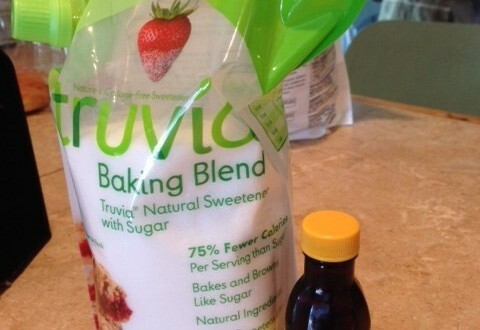 Making your own coffee syrup is quick, easy, and it will save you money! Try using the syrup in your Earl Grey tea or add a shot of it to your Soda Stream diet coke for a Vanilla Diet Coke that’s to die for.